Look 8. 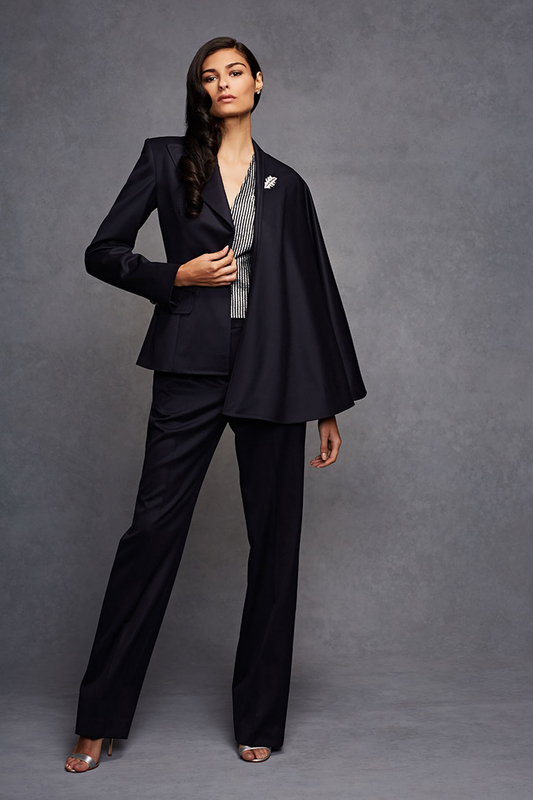 Single-breasted asymmetrical jacket/cape with novelty undervest in wool satin gabardine. Fly front slim pant in wool satin gabardine. Self belt available.